The Minister for National Planning and Monitoring, Richard Maru, is set to lead an official PNG delegation fact finding mission to India from December 11-15, 2017. The high profile Government delegation includes senior state ministers in the likes of the Minister for Education, Nick Kuman, Minister for Inter-Government Relations, Kevin Isifu, Minister for Information, Communication, Technology and Energy, Sam Basil, and Governor for West New Britain, Sasindran Muthuvel. Other senior government officials traveling with the delegation include Electoral Commissioner Patilias Gamato and acting registrar general of the Civil and Identity Registry, Michael Kumung. Minister Maru said the mission is purposely to address certain aspects to the PNG-India cooperation, explore potential investments in business and trade and importantly from the planning angle, the mobilisation of resources targeted at economic growth potential for the country. Reiterating that a key focus of the O’Neill-Abel Government is to grow the economy, Minister Maru said the delegation is going to seek business opportunities and technical assistance from India to support PNG’s development agenda. 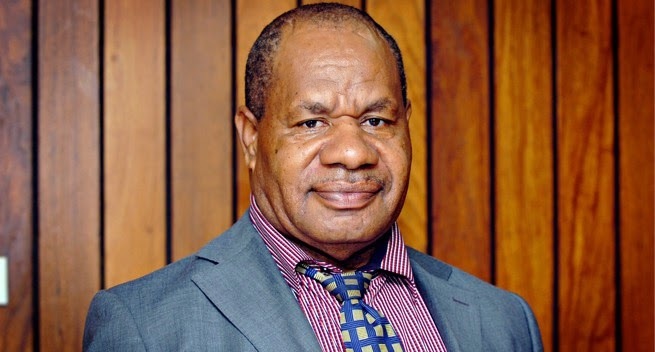 Minister Maru added that the Government is also working to ensure that support exists for sectors such as energy, information and communication technology (ICT), health, education, law and justice and capacity development. The training of Papua New Guinea’s human resources and development of research capabilities are also critical in this endeavour.